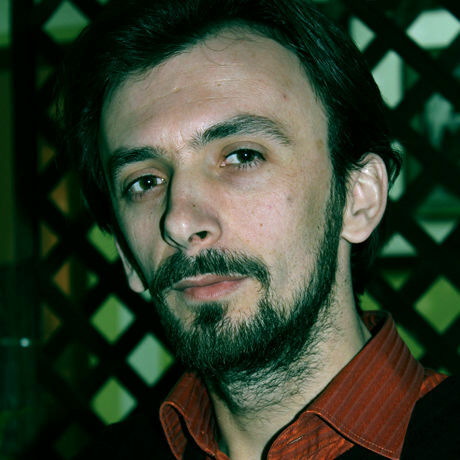 Edison Çeraj was born on 28 August 1982 in Shkodra. He finished his studies in the Academy of Fine Arts (today University of Arts), where he currently lectures at the Atelier of Multimedia. He also holds a master degree in philosophy. His activities include three personal exhibitions: “In the research of the lost colours” (2008) “Optional Subject” (2014) “No-thing” (2016). He participated in some other collective exhibitions as well. According to his field of research, he wrote three books: “Art as a possibility” (Izabel, 2008) “Researches in the metaphysic of art” (Logos-A, 2012) “The node of forgetfulness” (Logos-A, 2017).